On Sunday, July 20, 2014, I took the day off from writing. No book editing; no blogging. I think I have done so only for one other day since May. Instead, I read a book for the sheer enjoyment of reading. I chose my all-time favorite, a work of fiction by C.S. Lewis, The Great Divorce. A wrong sum can be put right: but only by going back till you find the error and working it afresh from that point, never by simply going on. And so it is with the Common Core State Standards (CCSS). CCSS was a train wreck waiting to occur from inception (see here, as well). Thus, to borrow Lewis’ math analogy, the CCSS error occurred in the planning stages. To try to “correct” CCSS at any subsequent point is an utter waste. 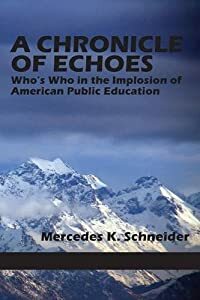 When 46 governors and state superintendents decided in 2009 to sign their states up for CCSS, not only did they have no idea what the final product would be; they had no clue concerning the public uproar that would ensue nationally over this supposed “state led” CCSS and its associated assessments. CCSS is educational digestive upset. For example, consider the battle over control of the senate in New York state: A powerful driving force is public displeasure over CCSS— not CCSS implementation, either– CCSS existence. And what of the rest of the 45 states plus DC supposedly committed to CCSS? Indiana: In April 2014, Indiana became the first state to formally pass legislation to drop CCSS and replace it with state standards that some say continue to closely resemble CCSS. Add to that US Secretary of Education Arne Duncan’s threat to withdraw Indiana’s No Child Left Behind (NCLB) waiver if he does not approve of Indiana’s state standards. South Carolina: On May 30, 2014, South Carolina Governor Nikki Haley signed legislation to replace CCSS with committee-created state standards. However, CCSS is to remain in place for the 2014-15 school year. We will have to wait to see how this turns out. Louisiana: On June 18, 2014, Louisiana Governor Bobby Jindal canceled the CCSS MOU (memorandum of understanding) and pulled Louisiana out of the Partnership for Assessment of Readiness for College and Careers (PARCC) testing consortium. He also called for investigation into Louisiana assessment contracts. The state board of education (BESE) and state superintendent, John White, are fighting Jindal on both CCSS and PARCC removal. Prior to his moving to remove Louisiana from PARCC and CCSS, Jindal hoped that the Louisiana legislature would do so. As of June 18, 2014, BESE and the Louisiana Department of Education (LDOE) have their assessment contracts frozen by Louisiana’s Division of Administration (DOA). As of this moment, Louisiana has no assessments for the 2014-15 school year. (Click here for an update of the situation as of July 18, 2014). Though a BESE majority and White maintain that Louisiana is still in CCSS, the Louisiana register fails to include the specific naming of either CCSS or PARCC as a mandated component of Louisiana K-12 public education. This failure to include specific language is a major opening for a lawsuit against BESE for improper procedure regarding CCSS adoption. NOTE: Even as I was drafting this post, such a lawsuit has indeed come to pass. As of July 21, 2014, 17 Louisiana legislators are suing BESE and LDOE for improper adoption of CCSS. BESE (the majority) and LDOE responded with this memo, in which they appear to conveniently confuse the terms “national standards” with “nationally recognized standards.” The two terms are not the same, even though BESE (the majority) and LDOE would like for them to be. Three BESE members agree that proper procedure was not followed and therefore support the July 21, 2014, lawsuit against BESE and LDOE. Being “state led” from the top down gets messy. Missouri: On July 14, 2014, Missouri Governor Jay Nixon became the first Democratic governor to sign legislation for creation of work groups to write standards in four subjects, including English and math. CCSS will remain in place until 2016– and possibly beyond. The legislation specifies that “active classroom teachers shall constitute the majority of each work group” and “shall be selected by professional teachers’ organizations of the state.” The state board of education will be allowed to appoint teachers who are not members of Missouri professional teacher organizations. One of the risks of the rewrite– especially given that CCSS will remain in place for years until it is completed– is that CCSS could be written into the “new” standards. Another issue with this plan is that the “professional teachers’ organizations” can drive this bus back to CCSS if they so desire based upon their appointment choices. The bill repeals Common Core for the state’s K-12 standards and directs the State Board of Education to come up with new ones. A new standards advisory commission would be formed to make recommendations to the board. The commission would be made up of 11 members, some appointed by legislative leaders, one by the governor and others by the State Board of Education. Common Core, which schools began testing two years ago, would remain in place until the new standards are completed. “Today, I call on the members of the state Legislature to pass a bill in early January to repeal Common Core and replace it with standards set by people in Wisconsin,” Walker said in a written statement. As noted above in regards to the NY state senate races, CCSS has become a major political issue– especially for those vying for election or re-election. Years ago, the nation’s governors were virtually unified in their promotion of CCSS. At the Symposium, Secretary Duncan made an important announcement regarding these funds: $350 million of the Race to the Top funds has been earmarked to support the development of high-quality common assessments. With 46 states and three territories already signed on to the Council of Chief State School Officers and the National Governors Association-led initiative to develop a set of common core standards that are fewer, clearer, and higher, this announcement was greeted enthusiastically by Symposium participants. Yep. No “politics” then, in June 2009. Just now, in summer 2014. How about those federally funded consortia, PARCC, and Smarter Balanced (SBAC)? How are they faring as of July 21, 2014? The Partnership for Assessment of Readiness for College and Careers is a coalition of 26 states including AL, AR, AZ, CA, CO, DC, DE, FL, GA, IL, IN, KY, LA, MA, MD, MS, ND, NH, NJ, NY, OH, OK, PA, RI, SC and TN. The SMARTER Balanced Assessment Consortium is a coalition of 31 states including AL, CO, CT, DE, GA, HI, IA, ID, KS, KY, ME, MI, MO, MT, NC, ND, NH, NJ, NM, NV, OH, OK, OR, PA, SC, SD, UT, VT, WA, WI, and WV. In 2010, some CCSS states had not yet decided upon a single consortium, and they did not know which consortia USDOE would approve for funding; so, 12 states belonged to both PARCC and SBAC: Alabama, Colorado, Delaware, Georgia, Kentucky, North Dakota, New Hampshire, New Jersey, Ohio, Oklahoma, Pennsylvania, and South Carolina. From the outset, PARCC was at a disadvantage since it started with only 25 states and DC (as compared to SBAC’s 31 states). Let us fast forward to July 2014, when not only have all overlapping states decided upon a single consortium, but also a time when some states have dropped the consortia altogether. As of July 2014, PARCC appears to have been hit the hardest. At the time of its US Department of Education grant award in September 2010, PARCC consisted of 25 states and DC. In order to qualify for the total $186 million ($170 million plus $16 million toward CCSS and PARCC implementation), PARCC must consist of 15 states, five of which must be “governing” states (see page 14 of this 250-page application). In September 2010, PARCC’s governing states were Arizona, Florida, Illinois, Indiana, Louisiana, Maryland, Massachusetts, New York, Rhode Island, Tennessee, and also DC. CORRECTION 07-22-14: In July 2014, the PARCC website 14 governing states. However, not all (i.e., Indiana and Louisiana) continue to belong to PARCC. Even though the PARCC continues to list 14 states and DC as consortium members, it must be doing so to try to fool Uncle Sam. Of the 14 states plus DC listed, Indiana has dropped out, as has Louisiana. It appears that Pennsylvania has also exited both PARCC and SBAC. PARCC is below the federal 15-state requirement. Wonder what Arne will do? He loves assessments, and especially consortium assessments, so I’m wondering if he will let PARCC slide by as a means of trying to Save the Point of Having a Common Core. USDOE funded SBAC $160 million, plus that additional $16 million for CCSS and PARCC implementation. In 2010, SBAC started with 31 states, 17 of which were designated as governing states (see page 12 of this 200-page application). Recall that 12 states also had overlapping membership in PARCC; so, it was expected that SBAC might lose some member states. As of July 21, 2014, SBAC notes 22 states on its website, plus the US Virgin Islands. SBAC is still including Pennsylvania, but as an “advisory state” even though Pennsylvania appears to have exited. The remaining 21 states are listed as SBAC governing states. SBAC has not dipped down below the 15-state mark as has PARCC. I wonder, since the nation has been Racing to the Top of somewhere, are the two consortia in a competition of their own? Sort of a Survivor, Consortium Edition? We’ll just have to keep watching. I realize that what I have posted above does not cover the continued brewings over CCSS and PARCC/SBAC in some states. What I have tried to capture were definite or impending repeals of CCSS and exits from the associated consortia. If I have missed something, please let me know in the comments section of this post. 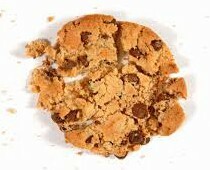 The “voluntary” cookie is crumbling as truly-forced cookies are wont to do. Thanks for the update! I hope that Governor Jindal and the Louisiana Legislature prevail! I also hope that you enjoyed your day of reading! More Common Core insanity. Who wants to make a bet Governor Markell will be the last one to drop common core? @ Jon’s- I was thinking the same thing myself! Sadly, Jack Markell will support CC until the bitter end. He has a lot on the line – including his ego. Added to post. Thank you. I like your writing a lot! Now my brain is full . I do as well. I am looking forward to reading your new book on Common Core. I’d like to reprint your summary (above) and then add the fight we just finished at the AFT convention. Although we from Chicago “lost” the vote on the “Standards” versus “No Common Core” resolutions both in committee and on the floor of the AFT convention, we won the fights. Only the muscle of New York (and the national office) pulled in the necessary votes to keep AFT critically supportive of Common Core, as we reported at substancenews.net. But a funny thing happened on the way to the exits. As you note, a lot of people are puking over all that… Dozens of New York delegates who had just voted FOR their “Standards” position turned around and made sure they told Chicago people that they “really agreed” with us, but… Basically they are cowards… I’m hoping we can gather up enough video of the debates to do a You Tube, since everyone needs to see the video of the great AFT Common Core debate. But until we can do that, we’ll have to settle for our prose narratives and smiling. Substancenews.net is a terrific resource for Chicago education news and commentary. Thank you. George, feel free to reprint. I am a parent from NY and had no idea about our brave delegation. I am looking forward to see some reports from the conference, not written by NY reps. I recently saw this piece of poetry, “Code of Silence,” and thought about the delegates of New York who were conflicted by their voting at the convention and also those who work for the corporate reform industry and are beginning to question their purpose. Thank you, Mercedes, for lighting the way for those who struggle to match their intellect and values with doing the right thing. PARCC also counts NJ as a “governing member” with Commissioner Hespe listed as part of the board. http://www.parcconline.org/governing-board Jeff Hauger, NJDOE director of assessment, is also on PARCC’s K-12 leadership team. NJ, I corrected my post with updated governing board info. Thank you. Mercedes – Could you explain what a “governing state” is defined as? Here in Massachusetts, it means that the state commissioner of education is President of PARCC, but that somehow doesn’t constitute a conflict of interest. Thanks! Great post as always – hope you plan on some down time before the new school year begins. Excellent piece. Unfortunately, New Mexico is stuck with PARCC so you can add it to that list. New Mexico is a PARCC state. Yes, the link I have to current PARCC states includes New Mexico. A great recap of the “progress”. Thank you. How about the P20 tests? Does every school use them? More questions: Are the PARCC and SBAC test to be given every year? What has replaced the old SAT test at the end of High School? and how about the Pearson books that are teaching to the tests? Are there other books that schools can use? Mississippi is out as of today. California is an SBAC state, not PARCC. California originally belonged to both PARCC and SBAC.